A born and bred New Yorker, Chef Hillary previously worked at A Voce under Missy Robbins and Lupa Osteria Romana and Mesa Grill. Hillary was named one of StarChefs Rising Stars in 2011 and works closely with Share Our Strength to help end childhood hunger. At Vic's, Hillary focuses on a menu of locally sourced Italian inspired dishes, including house made pastas and pizzas and market-driven plates cooked in the wood burning oven. Nick Verdisco, Executive Chef at Bolster, Snow & Co.
A Scottsdale Arizona native Nicholas Verdisco grew up with a passion for food. Coming from an Italian Family, Nick recalls large Sunday meals, making pasta by hand with his grandmother and arguing about if it was “sauce” or “gravy”. However, he never thought food would play such an important role in his life as an adult. Although cooking was a passion for Nick, he came to it professionally later in life; first working at The School House at Cannondale under Chef Tim LaBant, where his passion for creating modern American cuisine using fresh, local ingredients was born--and later working for acclaimed chef Jean-Georges Vongrichen as an Executive Sous Chef at The Inn at Pound Ridge. As Executive Chef of bon*fire alum Anthony DeLois' Uncommon Hospitality, Nicholas will be at the helm of the kitchen for the soon-to-open restaurant Bolster, Snow & Company in The Francis; a restored hotel that opens this Fall in Portland, ME. 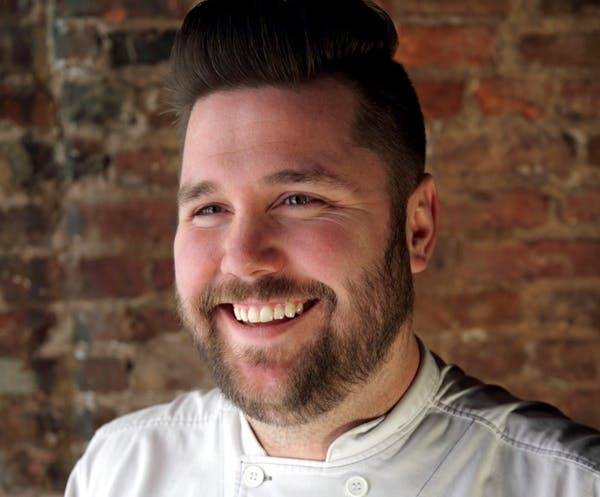 Andy Knudson hails from Texas y'all and graduated from the Culinary Institute of America in Hyde Park New York. He began his professional career at Restaurant Daniel which brought him to Las Vegas where he opened Wynn Las Vegas at DB Brasserie, and then went on to work for three-star Michelin famed chef Guy Savoy. After several years of learning and gaining experience throughout the kitchen at Restaurant Guy Savoy he then landed in Aspen at the world famous Little Nell. In the beginning of 2015 Andy shifted gears from the snow-capped Colorado Rocky Mountains to the crystal blue waters of the Bahamas and went to work for chef Bobby Flay at the world famous Atlantis Resort on Paradise Island which led to a move to New York City to work at Bobby Flay's Bar Americain. In the beginning of 2016, Andy joined the team at Restaurant Marc Forgone as Chef de Cuisine. Cascun farm is a family run farm where we believe strongly in providing our customers with the same high quality, all natural food we feed our own family. We raise pastured chicken, turkey, game birds and pigs as well as all natural rabbit. Our chickens, turkeys, game birds and rabbits are all processed by us, on our farm, in our own NYS inspected 5A processing facility. We take pride in being able to control the quality of our chickens from day old chicks until the time they reach your table. We feed a custom made feed from a local feed mill that is non-medicated and has no animal by products. Our animals are not given antibiotics or growth hormones. Our pastures are not sprayed. Our birds are lean, happy and healthy. By all conventions, a Manhattan event producer may not be the most natural proponent of live fire cooking and exploring the outdoors...and yet this year marks the second installment of bon*fire in the Catskill mountains of New York produced by Sam Pogue of paper to table. "I'm by no means an expert when it comes to cooking; live fire or otherwise. But I'm curious enough to have learnt how to build fire pits, start natural fires, cook over different flames, and safely extinguish a fire. I've observed, read and listened to the best chefs, firetenders, and pitmasters...and bon*fire is our chance to experiment and have a great time learning together!" 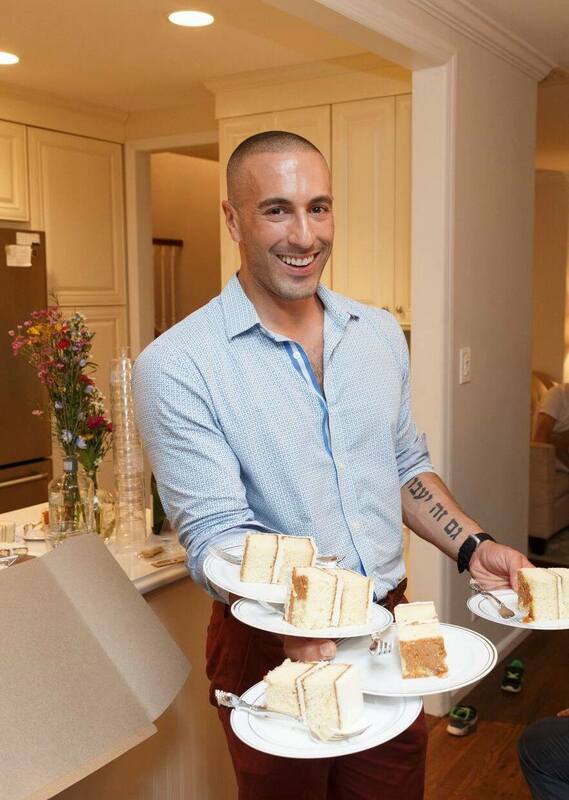 Perhaps not the most natural progression for a former music industry exec turned yogi and subsequently an event producer from the Upper East Side, but it turns out the path less taken is pretty great. Disclaimer, this dapper gentleman rarely wears a jacket and tie at a bonfire. Growing up in Queens, the son of South American immigrants, Alejandro had an early start in the food world helping his father out in the family's butcher's shop. Throughout his twenties he worked his way through the front of the house at a number of North Shore country clubs and later shifted gears by attending CUNY CityTech’s hospitality management program. In 2010 Alejandro opened Floresta, and despite early acclaim, closed a year later to pursue a career in teaching while working for the Union Square Hospitality Group. Currently, he is an adjunct lecturer in the Hospitality Management Department at CUNY New York City College of Technology and is seeking a Masters Degree in Labor Studies from the CUNY School of Professional Studies. Through his academic work, Alejandro hopes to contribute positively to workers rights in the hospitality field. After a few years of working my way up the line, I was given the opportunity to become a private chef. I have been working for a great family who are now Austin-based for the past 10 years. I travel to Maine in the summers where I get to cook with ingredients that are grown in a garden just steps from the kitchen. Insanely fresh seafood is caught just off their dock in Penobscot Bay. It's a chef's dream. Since living in Texas, I have fallen in love with barbecue and all things cooked over a wood burning fire. The flavors of wood fired pits slowly smoking beef and pork were flavors I had never tasted. I found a new obsession. I bought a small offset smoker and have been practicing the craft every chance I get. I am totally hooked. Don't get us wrong, we love KitchenAid's stand mixers as much as the next gal, but one of their best kept secrets seems to be their collection of cast-iron casserole dishes. We love the cobalt blue one and the fact that the lid also functions as a tortilla grill makes this one of our favorite fireside cookware pieces...nevermind that it also is one of the best parts of cooking in our 50 square foot kitchen in NYC. Disclaimer: This is definitely not the recommended way to open a bag of charcoal, it's just the bon*fire way. Since 1953, Royal Oak has been mastering the art of charcoal manufacturing. Taking pride in offering premium 100% American made charcoal from the Ozark Mountains in the heartland of America, Royal Oak continues to purse it's dream of being the trusted brand for those who taking grilling seriously. Whether you're a weekend warrior, a bbq pitmaster, or a proven chef, Royal Oak offers you the opportunity to pursue greatness every time you look to cook.